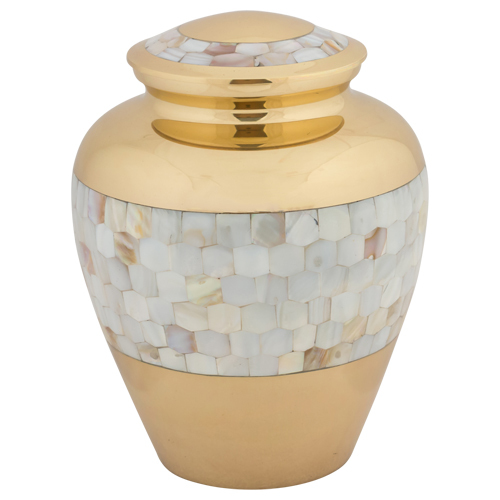 The Mother of Pearl Wide Band Brass Urn is finely made with pearl inlay bands around the middle and lid of this brass urn. 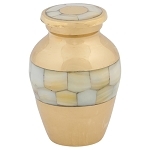 Due to the mosaic pattern created by rows of mother of pearl, this urn has a bright shining appearance that makes it very popular to honor a woman. 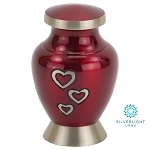 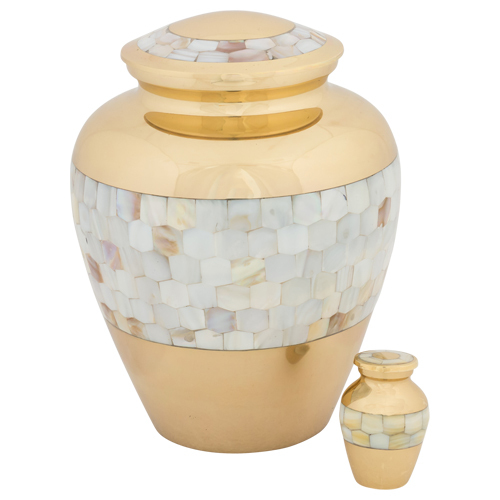 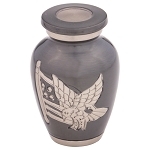 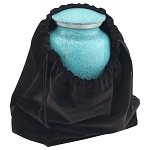 This urn also has a matching keepsake urn with the same gold brass surrounding the mother of pearl bands. 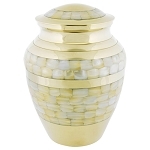 A threaded lid and brass construction make this a durable and secure choice that can be displayed beautifully at home and is very appropriate to be incorporated into a memorial service if desired. 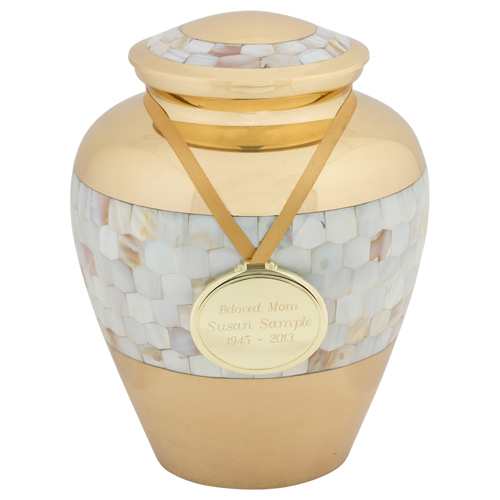 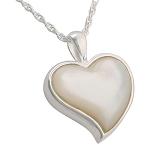 You may personalize the Mother of Pearl Wide Band Brass Urn by selecting an engraved urn pendant in Bright Gold or Brushed Gold. 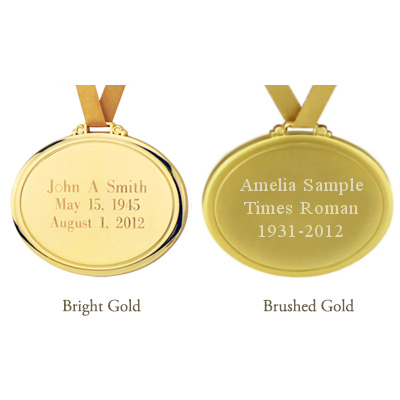 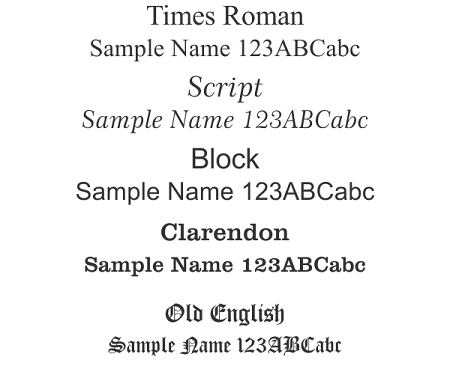 Each pendant comes with ribbon for displaying and can be engraved with up to three lines (23 characters or less per line) of the text of your choice. 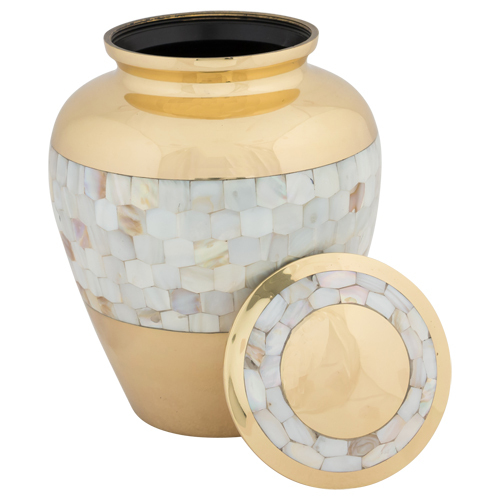 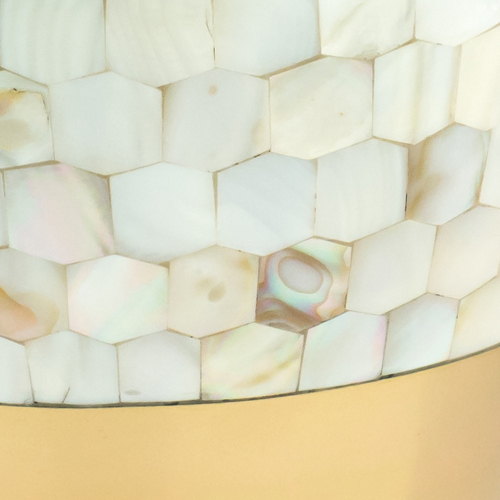 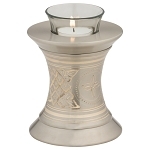 Shimmering insets of pearl surround the Mother of Pearl Wide Band Brass Urn.